Fuji has said that customers who had experienced the so-called 'white orbs' problem have been satisfied with the solution it has come up with. Several users of the Fuji X10 high-end compact camera had found incidents of "white blooms" appearing where highlights occurred in the picture. 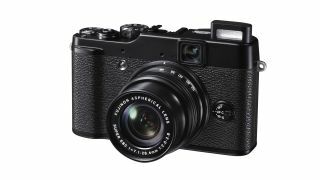 Earlier this month, Fuji announced that it had developed a new sensor that will be fitted free of charge for any user who had discovered this problem. Speaking to TechRadar, Adrian Clarke, senior vice president for Fujifilm Imaging said, "We had sold a huge number of X10s across the world and we discovered a very small proportion of those people weren't very happy and we were determined to take action." The phenomenon was also said to affect the X-S1 bridge camera. Fuji explained in a statement that the "blooming" effect can occur with all digital cameras which use CMOS sensors, but also admitted that certain shooting conditions meant that the cameras were more prone to it. "It took some time to come up with a definitive answer," Clarke said, "and that answer was a modified sensor. "We've monitored the calls every day and by and large everybody's been really satisfied. We had quite a number of calls in the first few days, but they have more or less dried up now, there are almost no calls. Customers will be able to get the modified sensor from May.